Funny story. Mostly in the UK people don't have 'majors' you just do a degree. I did however start out doing a major in Music with a minor in Politics. I did this for a year, then I figured out that this wasn't leading to a job. So I quit my course and moved to a different university and changed to a degree in Quantity Surveying. 2. What is the best purchase you’ve made lately? 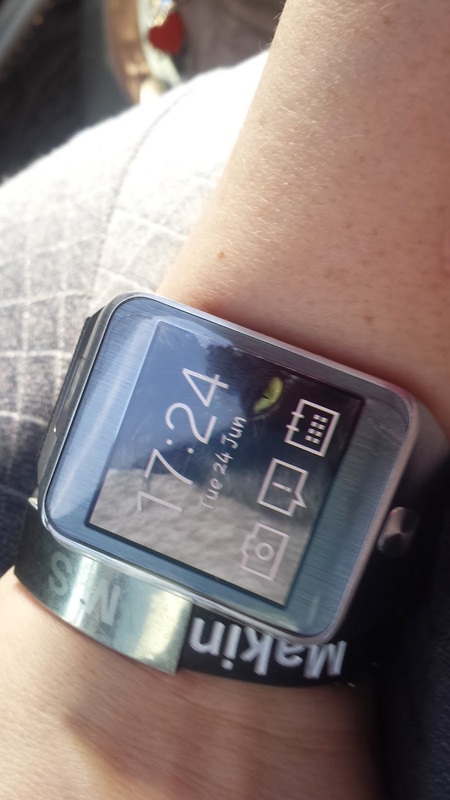 My 'Galaxy Gear'. It talks to my phone to the extent I can even reply to texts and answer calls. This is so useful when your hands are usually occupied with walking aids. It also has a tiny camera. Christmas! We decorate for Christmas in this house as soon as Halloween is over. Our living room becomes a grotto!